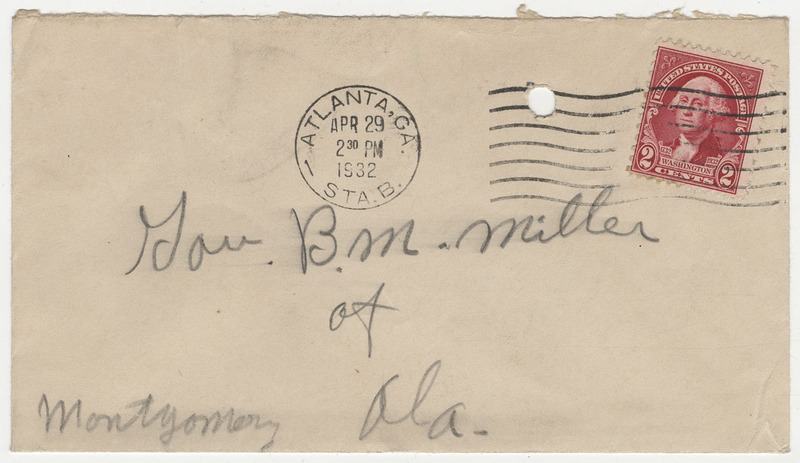 Letter from Viola Montgomery in Atlanta, Georgia, to Ser (Governor Miller in Montgomery, Alabama). 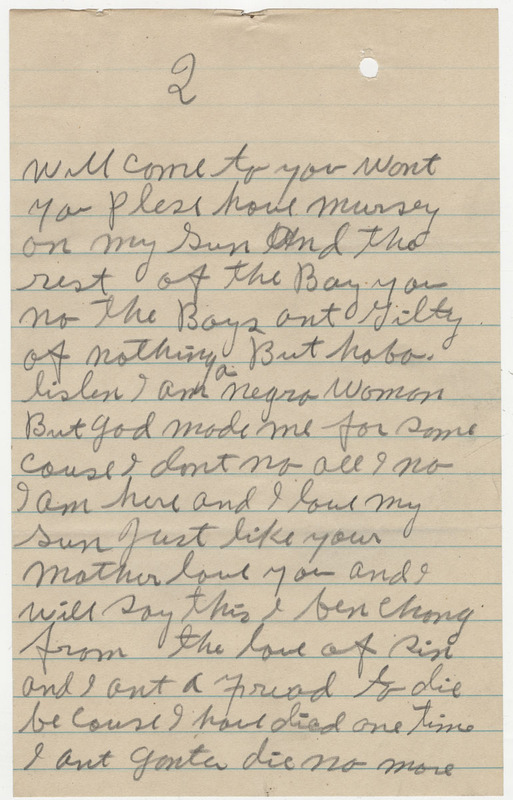 Viola Montgomery—the mother of one of the Scottsboro Boys, Olen Montgomery—writes to Governor Miller to plead with him for a retrial for her son. 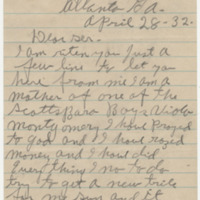 She has prayed to God, raised money, and does not know what else to do in order to prevent her son's execution. 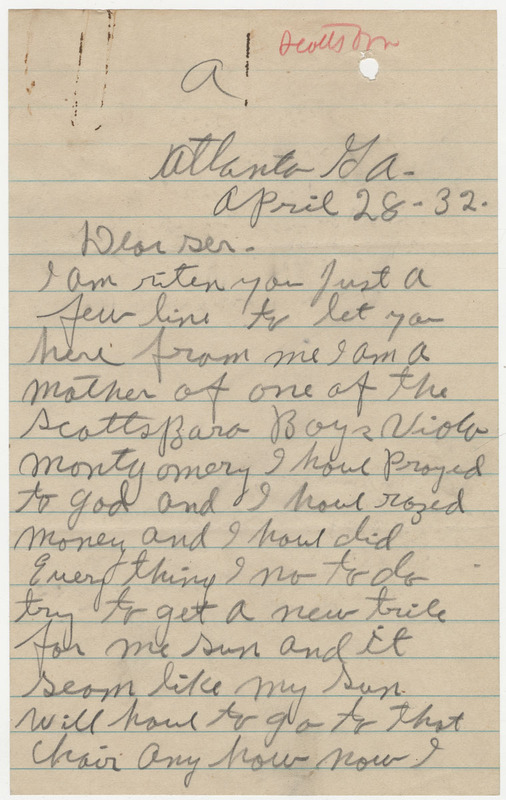 She believes that the Scottsboro Boys are guilty of no more than being hobos, and asks the Governor to think about things from a mother's perspective. 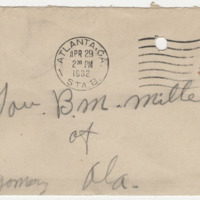 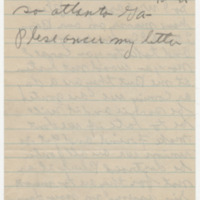 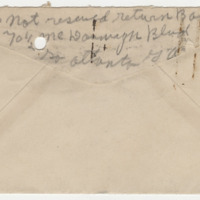 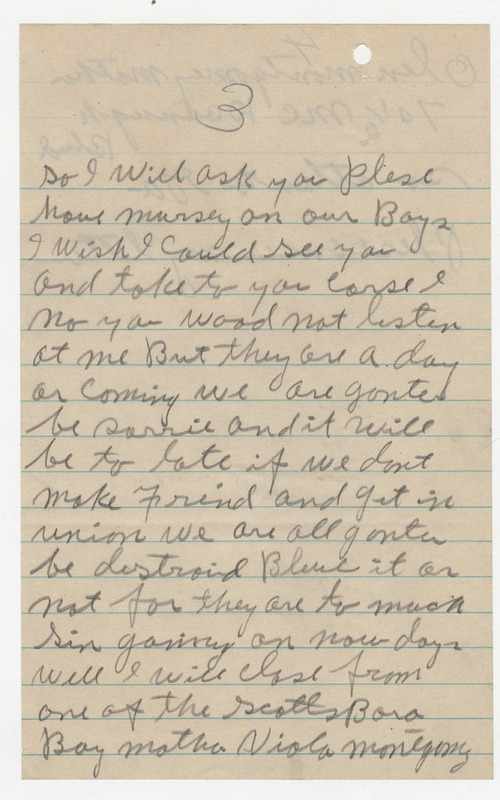 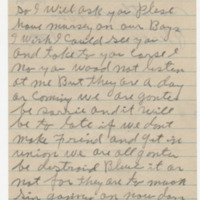 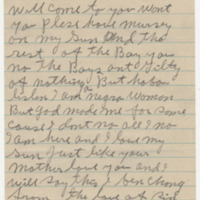 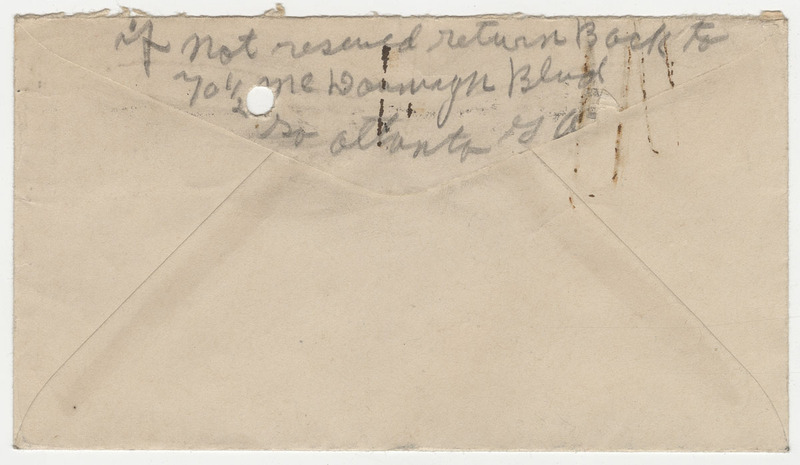 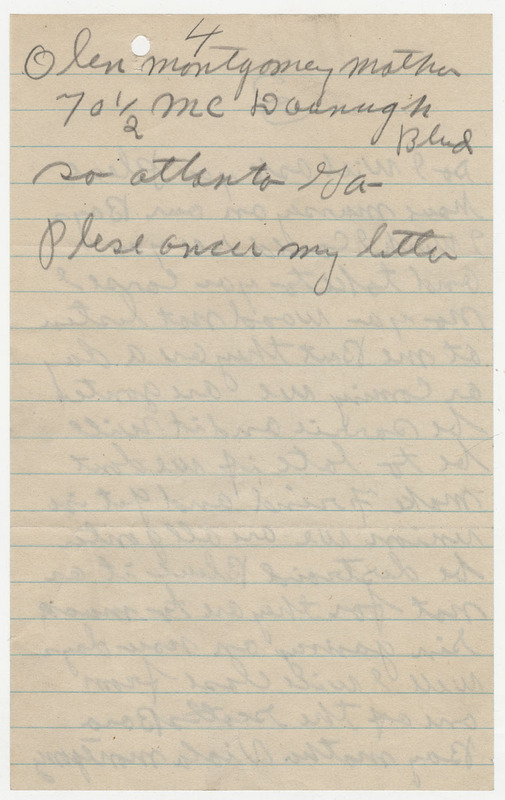 Montgomery, Viola, “Letter from Viola Montgomery in Atlanta, Georgia, to Ser (Governor Miller in Montgomery, Alabama).,” Scottsboro Boys Trials, accessed April 23, 2019, http://scottsboroboysletters.as.ua.edu/items/show/498.